ONE TOOL TO THE NEXT. and how it’s helping to shape, mold, meld and forge our future. 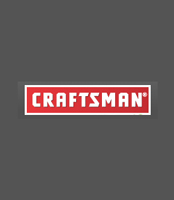 The CRAFTSMAN® brand makes its debut. 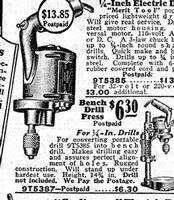 CRAFTSMAN electric drills are introduced, described as powerful, of rugged construction, well-balanced and easily handled. 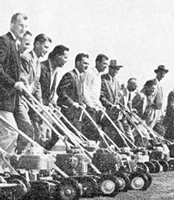 Lawnmowers are launched at a significant cost advantage over competitive models. 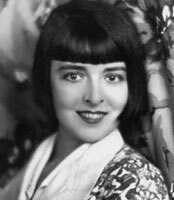 Silent film star, Colleen Moore, along with a 100-person construction team use CRAFTSMAN power tools to build a fairy castle. Completion takes seven years and costs nearly $500,000. 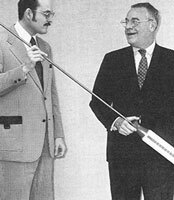 CRAFTSMAN power tool sales increase 1550% since their introduction. Several aircraft schools are exclusively using CRAFTSMAN hand tools when training technicians. 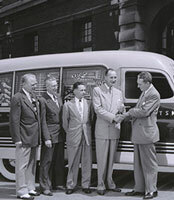 Salesman, Ed Faulk stocks a truck with merchandise and sets out on a 10,000-mile journey across America. 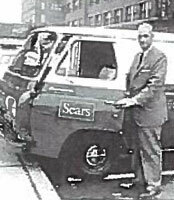 The mobile tool store is so successful that another truck rolls out the following year. 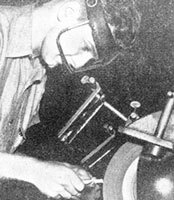 In the second phase of America's largest housing construction project, Levitt & Sons begins building 17,000 homes in Levittown, Pa. Site foreman Leonard Calderwood relies on his CRAFTSMAN 6.25-inch circular saw for his lumber-cutting chores. The suburbs continue their rapid growth, and the lawns are more extensive. 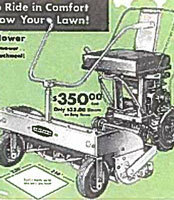 CRAFTSMAN riding mowers hit the market at $350. 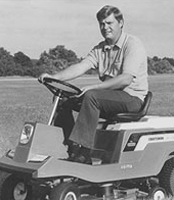 CRAFTSMAN rotary mowers sales achieve the 1½ million unit mark. The CRAFTSMAN Power Workshop, a 5-in-1 tool, designed to save time, money, and space is introduced. 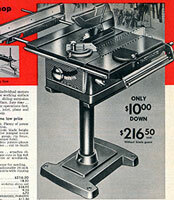 The tool is a combination tilting arbor bench saw, jointer-planer, jig saw, saber saw, and disc sander. 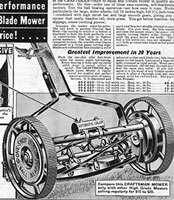 CRAFTSMAN rolls out the first mower with a wholly enclosed engine, key-lock self-starter, an automatic blade clutch to prevent stalling, and a hand-controlled blade brake. CRAFTSMAN rolls out a fleet of tool trucks to call on mechanics shops. Each truck is stocked with more than $5,000 worth of tools. 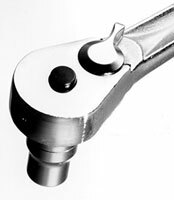 CRAFTSMAN quick-release ratchet wrench becomes one of the most popular wrenches in the hand tool industry. CRAFTSMAN goes green with cordless electric rotary and riding mowers. 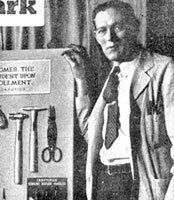 The 100 millionth CRAFTSMAN screwdriver rolls off the assembly line. 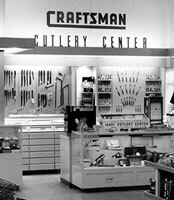 The CRAFTSMAN brand celebrates its 50th anniversary. 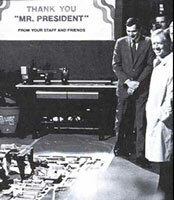 President Jimmy Carter’s staff present him with a CRAFTSMAN woodworking set as his farewell gift. 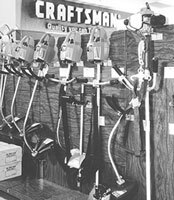 The CRAFTSMAN brand introduces the first electronic portable and bench power tools. Using consumer feedback, CRAFTSMAN completely redesigns modular power tools. U.S. Army infantry officer Kenneth Carrick uses a CRAFTSMAN hammer and two CRAFTSMAN screwdrivers to chip off portions of the Berlin Wall. Despite the pounding, the tools were "still in excellent shape," according to Carrick. 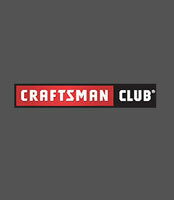 CRAFTSMAN Club debuts, saving members more than $250, 000 in the first four months. 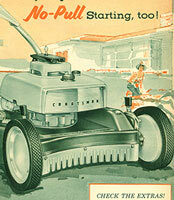 More than a million CRAFTSMAN lawnmowers are sold in a single season, an industry first. 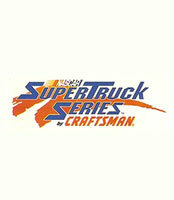 Mike Skinner wins the first CRAFTSMAN sponsored NASCAR SuperTruck Series race. 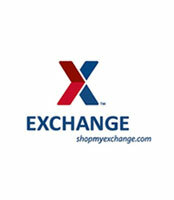 CRAFTSMAN tools are available at more than 150 Army and Air Force Base Exchanges and Post Exchanges worldwide. The CRAFTSMAN laser miter saw adds a new wrinkle to an old tool. The Laser Trac™ system projects a line on the wood that users can align with their cutting line, permitting accurate cuts. Consumers rank CRAFTSMAN number one in quality among all American brands, according to a Harris Poll Equitrend® survey. 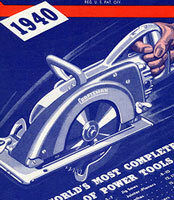 CRAFTSMAN celebrates 75 years with a catalog featuring more than 4,000 items, including 739 new products. Customers purchasing a CRAFTSMAN 212-piece mechanic's tool set receive a 22-karat, gold-plated 3/8-inch quick-release ratchet as a free anniversary keepsake. 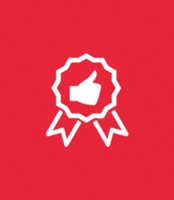 A Harris Interactive poll gives CRAFTSMAN the highest score for both "Brand Expectations" and "Trust." The readers of Popular Mechanics name CRAFTSMAN their favorite brand of hand tools in their Reader's Choice Awards. CRAFTSMAN products are available through Ace Hardware® and Costco®. 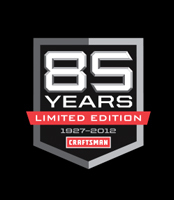 CRAFTSMAN brand celebrates its 85th anniversary. 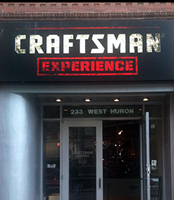 CRAFTSMAN wins prestigious Edison awards for innovation. The Flex Claw™ Hammer wins Gold in the Tools category and the Sidewinder™ Tape Measure wins Bronze in the Home and Lawn Maintenance group. 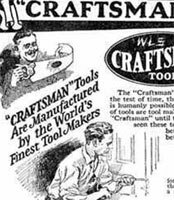 Stanley Black & Decker purchases CRAFTSMAN. 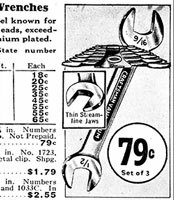 CRAFTSMAN revives long-established pride in superior quality with re-engineered products, bringing back historically reliable, high-performance tools and making them more accessible to purchase.